A Good Day to Die Hard is the fifth installment in the Die Hard film series. This action thriller film was directed by John Moore, and written by Skip Woods. In this sequel, Bruce Willis is back as the rugged, veteran police officer John McClane. While in the United States, John learns that his wayward son, Jack (Jai Courtney), is in trouble in Moscow. John immediately wants to step in to help his son, but he worries that his son won't be very receptive to his help. The father and son have had a difficult relationship, and John fears that Jack has lost his way a bit. Even though the two men have been estranged for many years, John travels to Russia to see if he can help his wayward son. Once John lands in Moscow, he quickly realizes that Jack is in much bigger trouble than he had anticipated. However, Jack also has a tremendous secret that he is keeping from his father. Being a police officer, John immediately realizes that something complicated is going on and promises his son he will help him get out of trouble. What John doesn't realize is Jack is a CIA operative who is working undercover. In fact, Jack is very close to exposing a terrorist plot. However, when unexpected events occur, his perfectly planned mission begins to fail. When Jack's mission starts to fall apart, he has only one person he can turn to; his father. Despite the friction between father and son, they pair together and vow to destroy the terrorist group's evil plan. If the two McClanes are able to stop the terrorists from accomplishing their task, they will be heroes. If the father/son duo fails, the whole world could be in danger of a deadly terrorist attack. Besides Willis, the only other character that appeared in other Die Hard installments and this latest installment is Lucy McClane (Mary Elizabeth Winstead), Jack's mother, and John's ex-wife. Other actors who appear in the film include Sebastian Koch, Cole Hauser, Roman Luknar, Melissa Tang and many others. A Good Day To Die Hard is currently available to watch and stream, download, buy on demand at FX Networks, FX+, FOX, Amazon, Vudu, Google Play, FandangoNow, iTunes, YouTube VOD online. Weekend Box Office: 'Die Hard' Opens with a Bang, 'Warm Bodies' Zombies on. Four new movies opened this holiday weekend, but only three made the top five. "Die Hard" just wouldn't be "Die Hard" without tons of stuff blowing up, breaking glass, gunfire and the occasional catchphrase. 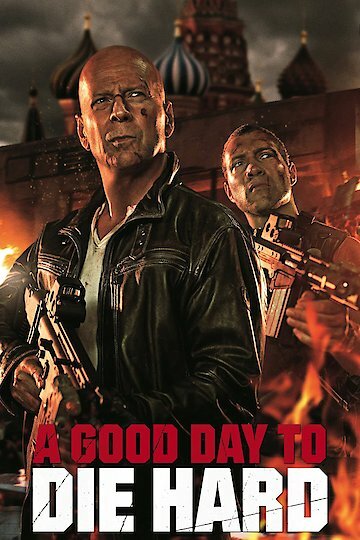 Check out the teaser trailer for "A Good Day to Die Hard." 'A Good Day to Die Hard'... Or Is It? Though it's doing well at the box office, most critics are suggesting that "Die Hard" fanatics should focus on remembering the good times with "Die Hard," the original. And maybe the second one. But really, third tops. Hear what they have to say about "A Good Day to Die Hard."